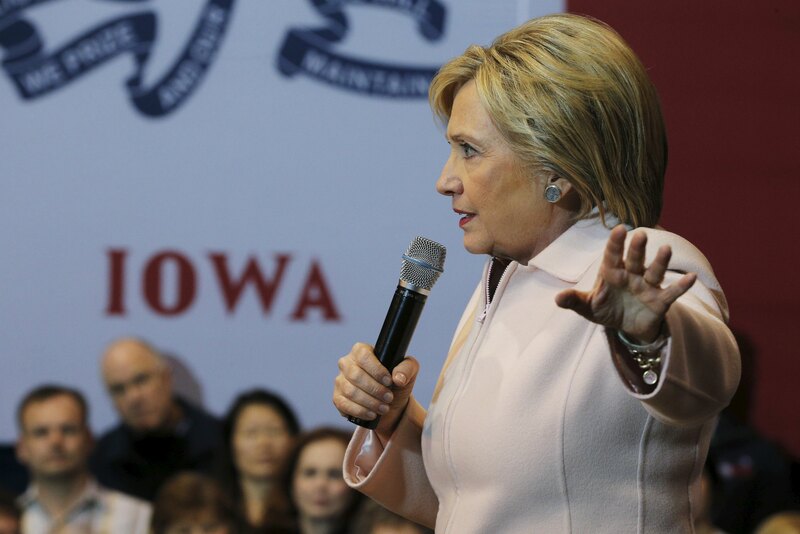 Just a few days before the Iowa caucuses, Democratic candidate Hillary Clinton stressed to voters in Des Moines just how unfeasible she considers her opponent Bernie Sanders' plan to pursue a single-payer health care system. Derry O'Connor of Des Moines told CBS News that he plans to caucus for Clinton in part because of her stance on health care. He echoed Clinton's sentiments that a single-payer system is out of reach. "I think if they ever got there, it would be very good," O'Connor said. "I don't see it happening. Look what happened when they tried to expand Medicaid to all the states in the country." The debate over health care underscores the difference between Clinton's campaign pitch as a pragmatic, effecitve leader and Sander's pitch as a candidate with vision. "That's what our campaign is about, it is thinking big," Sanders said at a primary debate earlier this month. Accomplishing goals like implementing single-payer health care (or "Medicare for all") is dependent on reducing the influence of big corporations, he argued. "Nothing real will get [done] unless we have a political revolution where millions of people finally stand up." In that debate, Clinton stressed how difficult it is to stand up to the existing health insurance industry. But she also suggested there were other reasons the U.S. has yet to adopt a single-payer system. "As someone who has a little bit of experience standing up to the health insurance industry, that spent, you know, many, many millions of dollars attacking me, and probably will so again... I think it's important to point out that there are a lot of reasons we have the health care system we have today," she said. "I know how much money influences the political decision-making... However, we started a system that had private health insurance." Clinton has, of course, been pushing for health care reform for decades. Her point of view on a single-payer system has changed dramatically over the years. In 1994, when advocating for comprehensive health care reform as first lady, Clinton told reporters that if Congress didn't pass a reform bill that year, the nation would eventually embrace a single-payer plan. "If, for whatever reason, the Congress doesn't pass health care reform, I believe, and I may be to totally off base on this, but I believe that by the year 2000 we will have a single payer system," she said. " I don't even think it's a close call politically. I think the momentum for a single payer system will sweep the country... It will be such a huge popular issue... that even if it's not successful the first time, it will eventually be. " CBS News' HannahFraser-Chanpong contributed to this report.